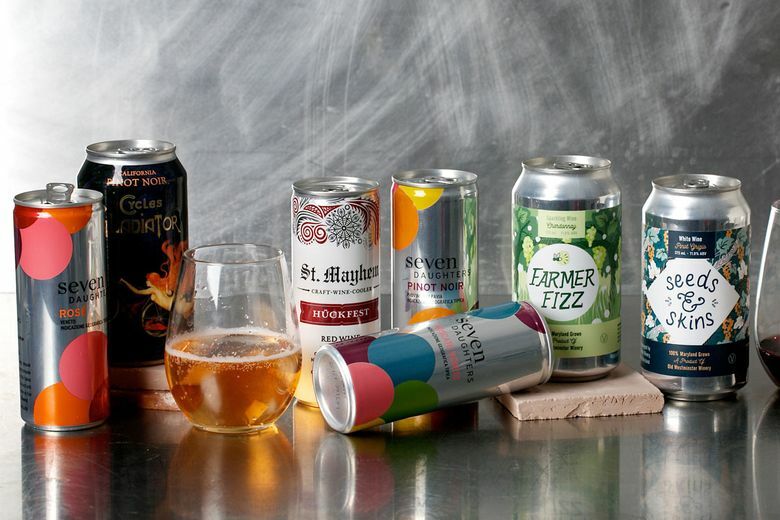 Wine in cans may be here to stay. The package more commonly associated with soft drinks has been increasing its shelf space in the wine section since about 2014. Sales of wine in cans rose 43 percent year-over-year from June 2017 to June of this year, according to market research firm BW166. To be sure, this impressive increase is from an incredibly small base: Wine in cans accounts for only about 0.2 percent of all wine sold in the United States. But a new survey of consumers and producers suggests that the can format resonates with wine drinkers because of its convenience, affordability and sustainability. During the past two years, Williams — joined by colleagues Helena Williams and Matthew Bauman from Texas Tech University — have surveyed consumers and winemakers about their attitudes toward wine in cans. Williams noted that wine was first canned in 1936, but its quality suffered because the technology was inconsistent. Better packaging developed over the past decade or so has allowed the format to grow in use and popularity. And the survey (of nearly 1,000 respondents ages 21 to 88, with an average age of 34) suggests that cans are allowing winemakers to reach new audiences, rather than eating away at existing sales of wine by the bottle. Snark aside, Williams’ research is interesting because it gives insight into generational shifts in wine consumption. Millennials are receptive to cans because they can buy individual servings — great for singles — but also for the environmental aspect. Aluminum cans are 100 percent recyclable, unlike bottles (with their labels, foils, corks and even screw-cap liners), boxes or other wine formats. “Millennials, especially, are passionate about sustainability, so they rank this high,” Williams says. There are also savings for winemakers — cans are lighter, making them easier to stack and to ship. And they don’t shatter when they topple over. But it’s not an easy decision for wineries to add cans to their lineup. “We had several moments of apprehension when we first considered introducing canned wines,” says Drew Baker of family-owned Old Westminster Winery in Maryland. Old Westminster was the first winery in the mid-Atlantic to offer wine in cans late last year, but the Bakers were worried about how cans might affect market perception of their brand. Nor are cans just for cheap wine. Williams pointed me to Sans wine, which markets a Napa Valley cabernet sauvignon (from Soda Pop Vineyard, no less) for $25 for a 375-milliliter can — the equivalent of half a standard bottle. Wine Enthusiast magazine gave it 90 points out of 100. If we’re willing to pay more by the glass at restaurants for a high-quality wine, why not in cans that we can enjoy at home, on picnics, hikes or at tailgate parties?